Käthe Kruse dolls and soft toys are perfect items for healthy development of babies and toddlers. Dolls help to teach compassion and empathy and the signature Käthe Kruse towel dolls have been comforting babies for decades. 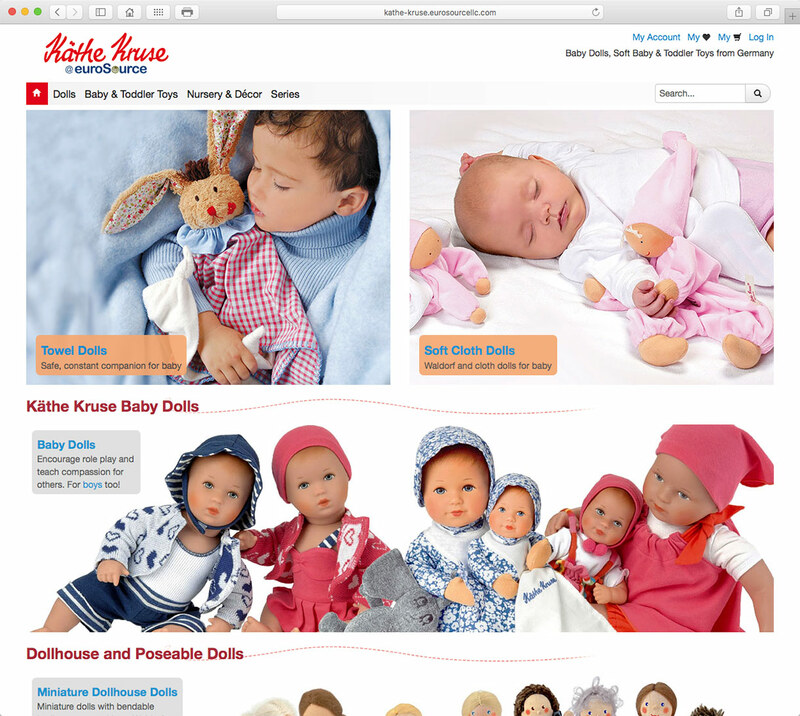 Retail web site for Käthe Kruse dolls and soft toys – handcrafted for more than 100 years. We encourage and support three dimensional play as the best development path for children. Discovering the best small brand European toys for the US market. Nuremberg; the old world home of toys. Copyright © 2019 euroToyShop. Powered by WordPress. Theme: Spacious by ThemeGrill.